We've a very small back garden, but I knew I had to make space for these fiery red berried shrubs. 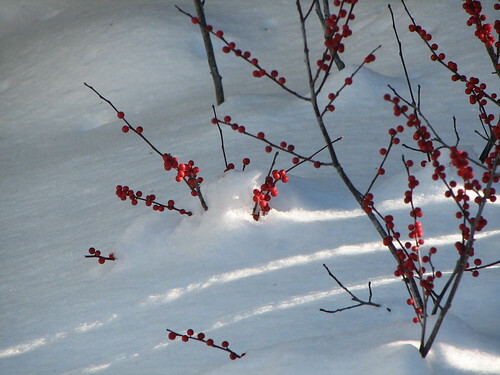 Winterberry holly, Ilex verticillata (Females: "Winter Red", pollenized by "Southern Gentleman" male plant), zone 4b (Canadian system), Ontario, Canada. Dioeceous... need both male and female plants (1 male per small group of females should be enough). Only the females set fruit.